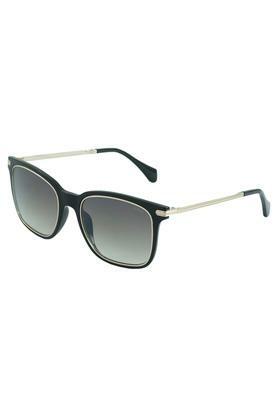 Allow yourself to create a lasting impression when you don this pair of square sunglasses from Idee. This one will surely set some eyes ogling and many heads turn as you walk through the crowd. These full rim sunglasses have gradient lenses and the frame is made of metal injection. This one is must-have item to add in the collection of your accessories. A perfect accessory for casual occasions, this pair of sunglasses exudes class. It will look good when teamed with a shirt and a pair of trousers.